Congratulations! 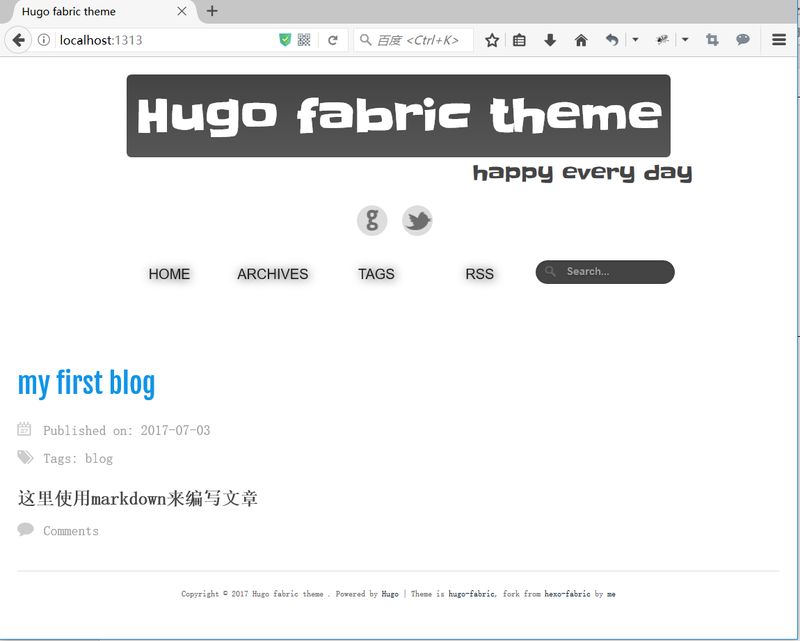 Your new Hugo site is created in D:\git\blog. title = "my first blog"
WARNING: Site config's rssURI is deprecated and will be removed in a future release. Set baseName in outputFormats.RSS.